Energy Drink Buying in Bulk. What is the Best Option? Energy drinks are our specialty and we want our customers to get the best bang for their buck when it comes to energy drink buying in bulk. In this list, we are comparing prices, convenience, and amount of caffeine in each product to give you the best look at the top drinks to buy in bulk. This small bottle of energy is great for a quick pick me up and usually runs for about $2.75-$3.00 per bottle with a standard 200mg of caffeine coming as single bottles or two packs. However, if bought in bulk from places like Amazon or Boxed you can get them in a 24 pack for around $1.60 per bottle, nearly halving the price as opposed to buying in a single bottle. This is a great portable energy product that will keep you going throughout your day. Monster has been a staple in energy drinks for the past 6 years. It packs one hell of a punch for around $2-$3 dollars a can with 160 mg of caffeine in a 16 fl oz. can. Although this energy drink is powerful, the price and size of the can is a definite drawback in terms of convenience and portability. When buying in bulk the price does become a more manageable $1.25-$1.50 per can. You can buy them in bulk at Sam’s Club or also on Amazon in 24 packs. Mio is a small liquid energy enhancer that goes for around $3.00-$4.00 per bottle that has 120 mg of caffeine/16 fl oz. Although the it is convenient this is on the lower spectrum in terms of strength in energy drinks. This is one of the few energy drinks that are more expensive in bulk when compared to buying as single bottles. When looking at a 12 pack on Amazon each bottle goes for $4.56. So, when buying Mio it is highly suggested to save yourself some money and not buy them in bulk. When people think of energy drinks this product is usually what pops into their heads. Red bull costs vary from the 8 oz can for $1.99 to the 16 oz can costing $4.19 packing 160 mg of caffeine/16 fl oz. Good places to buy Red bull in bulk include Sam’s Club and Costco which both sell the 12 oz. cans in a 24 pack for around $2.25 per can. Red bull has a variety of flavors and lower calorie options on top of its standard flavor all in a variety of sizes. A small packet of energy that goes into your everyday 16 oz. water bottle. Each packet only costs one dollar and packs 160 mg of caffeine that will sustain your busy lifestyle. 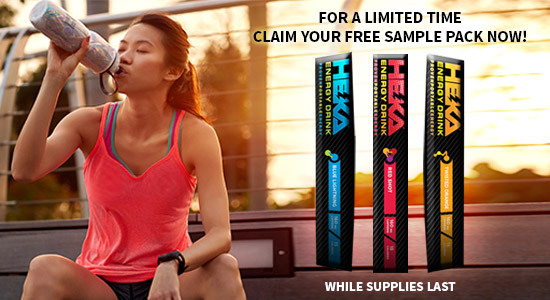 Heka normally sells 40 packs for $40 dollars but has a subscription-based club that lets you save even more money if you commit a monthly order of one of their flavor boxes. The monthly subscription costs $34.99/month for one of their 40 pack options whether it’s one specific flavor or the rotational option. To top it all off the packets weigh next to nothing and take up as much space as a stick of gum. What do you think? What Energy Drink do you buy in bulk? Let us know in the comments.